We already have several itineraries in the book (see pp41-7) as we feel they are useful to use as a base for planning your own trip (note that if you have the 3rd edition of Japan by Rail many of the passes have changed so the itineraries may not be valid). However, on this page we will share itineraries we have received from readers. Assuming your flight lands at Narita in the morning we think it is a great idea to get the shinkansen to Osaka (Shin-Osaka) on the same day as it gives you time to have a good sleep and to recover from your jetlag. Also you can’t miss your stop as long as you take a shinkansen that terminates in Shin-Osaka! However, we recommend getting a flight to Tokyo and out of Osaka (Kansai International Airport), or vice versa, as it could save some travelling time. 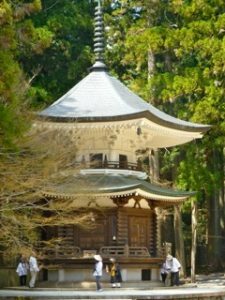 We also think this itinerary is good as it includes a night in a temple as well as one in a ryokan. Two experiences that are really recommended for a trip to Japan. Two groups of travellers to Japan who had 11 days’ travelling in Japan (and flew back on the 12th) have sent us their itineraries; they both had 7-day Japan Rail Passes as they were ending or beginning their holiday in Tokyo and therefore it wasn’t worth having a 14-day pass. Days 1-3 Haneda to Kagoshima They flew to Haneda and from there direct to Kagoshima. They stayed in JR Kyushu Hotel for 2 nights as it was right at the station. 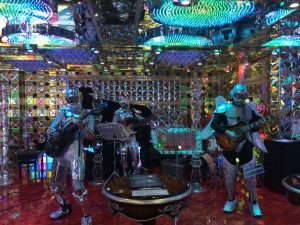 Days 8-11 Hakone to Tokyo Stayed in Sun Members Hotel, Shinjuku, Tokyo for 3 nights; whilst in Tokyo they went to the Robot Restaurant which they said was an incredible experience even though it is a tourist trap. Day 1 (Tokyo) Haneda Airport Stayed at Hotel Gracery. For this trip LR bought a N’Ex Suica at Narita and used that whilst in Tokyo. Tickets were then bought for each journey enabling LR to travel by JR or on a private line, whichever provided the most convenient, cost-effective service. Day 5 Tsumago Took the bus to Magome and then walked back. The walk took 2½ hours and was easy despite the pouring rain. Day 6 Tsumago to Kyoto Bus from Tsumago to Nagiso, then limited express to Nagoya and shinkansen to Kyoto. The fare for the 35-minute journey was ¥5800 (incl a seat reservation) but the train covered 150km in that time. Very impressed! The itinerary included Koya san where access is only possible using a private line. This itinerary is good because it includes Kyoto, Miyajima, Nikko as well as an onsen and going to Matsumoto (from Miyajima via Nagoya) makes it into a kind of circular trip (ie the journey back to Tokyo wasn’t on the shinkansen all the way). 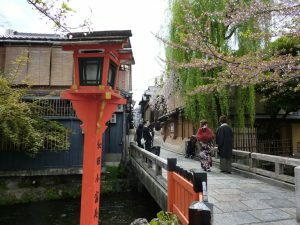 Madhvi decided to have three days in Kyoto as there is so much to see. Thus her 7-day rail pass expired when she was in Nikko so she had to pay the fare from there back to Tokyo. Helen A was in Japan for 16 days but only had a 7-day Japan Rail Pass; she only activated the pass when she left Hakone as it is best to have a Hakone Freepass there and the pass can include travel from Shinjuku. Days 3-7 in Tokyo: Stayed at Family Inn Saiko, Ikebukuro (Tokyo). Two days in Tokyo visiting Asakusa, Tsukiji, Hama Rikyu and Imperial Palace Eastern gardens, day trip to Nikko and day trip to Kamakura – Museum of Literature (for the rose garden); Daibutsu, Enoshima and monorail. Days 7-9 in Hakone Stayed in Posh Hotel, Odawara. 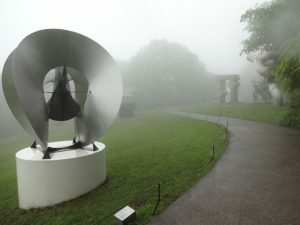 Visited Hakone Open-air Museum and Lake Ashi; my Hakone experience: 1 out of 10 – I have wonderful pics of fog; the open-air museum was 9 out of 10 but only because I couldn’t see beyond the first sculpture when I arrived, although it did clear a bit later. Day trip to Atami Had a hot bath at a spa in Atami which looked very rundown and uncared for but it restored my spirits after going round in circles to find a geyser which is now virtually extinct. Days 9-11 in Okayama Visited the Oriental Museum, castle and Korakuen. Day trip to Kurashiki and Ohara Art Museum and Ohashi House. Days 13-16 in Kyoto Stayed in Capsule Ryokan, Kyoto. Visited Nishi-Hongan-ji, Higashi-Hongan-ji and Fushimi Inari, Kinkaku-ji, Museum of World Peace, Ryoan-ji, Arashiyama and Imperial Palace tour, Kyoto. Also visited Nara (Tofuku-ji) and had a day trip to Kanazawa – Museum of Gold Leaf and Geisha area and another day trip back to Yokohama in hope of seeing Mt Fuji from the shinkansen. The advantage of having a Japan Rail Pass and being based in Kyoto is that you can go to a lot of places as day trips without having to carry your luggage around. As you can see Helen made use of her pass going to the Yokohama area for the day, largely in an attempt to see Mt Fuji from the shinkansen, and also Kanazawa for the day. Helen’s flight arrived late so it made sense to stay near the airport and Narita Town is a great introduction to Japan. As she was travelling on her own and discovered that the ryokan in Hakone would charge for two people as she wanted to stay a Saturday night so she stayed in Odawara. The geyser Helen tried to find in Atami is the Oyu Geyser; we no longer include it in Japan by Rail as we agree it is not that impressive! We now have two very different itineraries from people who have been lucky enough to be able to have trips to Japan lasting four weeks. The first are RU and JB whose trips covered Honshu and Kyushu and the second is RA who focused on Shikoku and Honshu. RU and JB’s itinerary started with a week in Tokyo using a Suica Card & N’EX and then using a 21-day Japan Rail Pass for the final three weeks. Budget for time in Japan (excluding cost of Japan Rail Pass) was £1500. Apart from where specified they mostly stayed in branches of Toyoko Inn as they are almost always close to the station and reliable. Day 1 Narita Landed early evening so decided to spend first night at Toyoko Inn Hotel near Narita Airport. Days 2–8 Tokyo Bought Suica & N’EX. 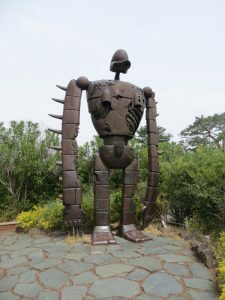 Spent week seeing the main highlights and attractions of the city including the Studio Ghibli Museum, Shinjuku, Harajuku, Asakusa, Akihabara and Odaiba. Stayed in Shinjuku and Akihabara. Days 10-12 Kyoto Visited Fushimi Inari Shrine & Sekiho-ji, Kinkaku-ji, Nijo Castle, Arashiyama and Osaka. Stayed in Capsule Ryokan Kyoto with two nights in a capsule and two in a room; highly recommended. 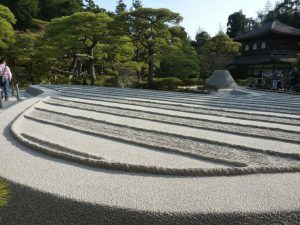 Days 14–16 Hiroshima Visited the Peace Park – all in one area; day trips to Miyajima and to Okayama and Korakuen. Stayed in K’s House; also highly recommend. 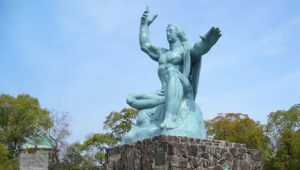 Days 18-19 Nagasaki Visited the Peace Park – sights are more spread out; museum smaller but more graphic and emotional impact; Glover Garden and the Nagasaki Ropeway. Days 21-22 Kagoshima Day trips to Sakurajima and Ibusuki; the latter for the natural hot sand bath. Days 24 Mishima Day trip to Hakone to see Lake Ashi and Mount Fuji. Days 26–28 Tokyo Day trips to Kamakura, Kakunodate (on the new Komachi); also visited more places in Tokyo such as Ueno market and Roppongi. 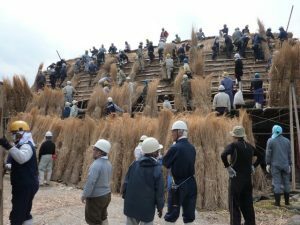 This itinerary makes good use of the shinkansen network and thus was very good value in terms of the Japan Rail Pass. We can understand why they included both Hiroshima and Nagasaki as both have interesting sights in addition to the respective Peace Museums. We also think it was a good idea to spend more time at the end based in Tokyo and do day trips – it is amazing how far you can go quite easily on any of the shinkansen services and still have a good day out. If flying out of Narita we think it is very sensible to spend the last night in Narita Town as it is a very atmospheric place, has a wonderful temple to visit and is also a good place for last-minute shopping. RA had a 4-week trip to Japan combining sightseeing and visiting family. As stated above their itinerary focused on Shikoku and Honshu. Day 1: Arrive Haneda Airport; change exchange voucher for Japan Rail Pass and also buy Pasmo. From airport take the monorail to Hamamatsucho station (about 18 minutes) and from there to Tokyo station (3 stops about 8 minutes) on the Yamanote Line. From Takamatsu take JR Kotoku train to JR Yashima. Walk to Kotoden Yashima station and take shuttle bus to Yashima from there. Return to JR Yashima and go from there to JR Naruto. 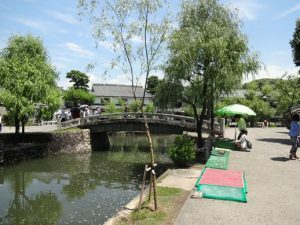 Visit Kenrokuen, Kanazawa-jo park including Ishikawa mon. Day 18: Day 18 go to Ishinomaki to visit Ishinomori Manga Museum. Ishinomaki is the town where most people died with the tsunami and JR East earthquake. 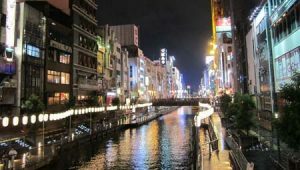 Days 25-28: Days to visit Yokohama and several places in Tokyo. This itinerary combines busy periods with more relaxing ones. 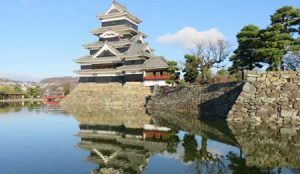 It is also interesting to have an itinerary that includes time in Shikoku as that we feel is often forgotten. However, there is so much to see and do in Japan it would take a very long stay to cover all the islands properly.